Hello hello hello! I'm so excited to be back here in my happy place! 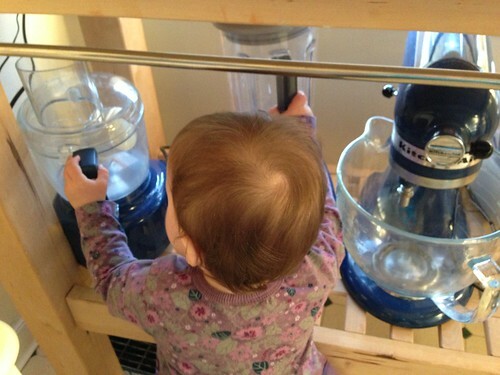 I've been cooking a lot lately with the help of my little sous chef (who'll be one year old next month, what??). I don't have the brain space to set up photo sessions and write thoughtful posts about each recipe, though, so I've been away from blogging. But I was remembering tonight why I started this blog: to keep a journal of recipes I love so I can find them again later and share them with friends and family. If I use my iPhone camera and not my dSLR, or write a couple of sentences instead of a couple of paragraphs, that's completely okay! Nobody's judging me! So I'm going to get back to posting photos and recipes, and I'm really excited about it. I'm so excited to see you posting again! Yay! I'm excited to see some new posts. Hope things are going well with little Squish!